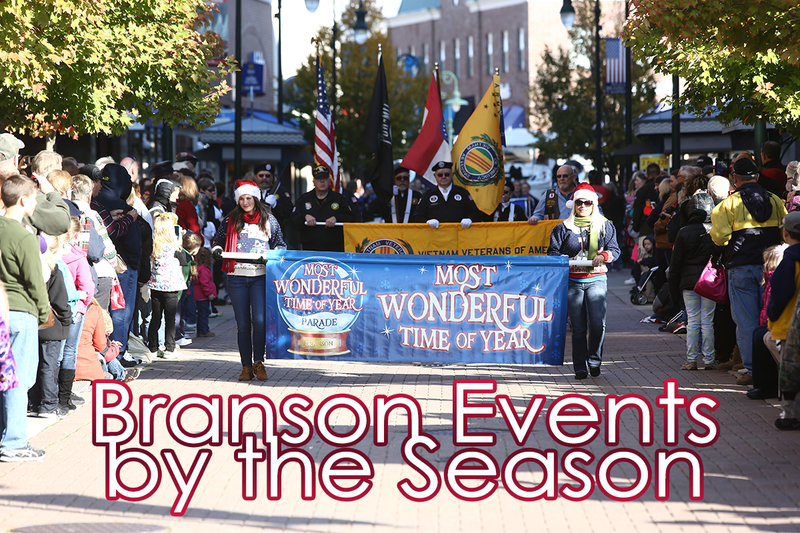 Branson Christmas Shows Are Coming Soon! It’s beginning to look a lot like Christmas… time for Branson Christmas shows, that is! Ozark Mountain Christmas season may seem like a long way off, but we’re really only a matter of weeks away from the time of year when most Branson theatres change up their usual entertainment to shows and Christmas events that celebrate the season. This is a great time of year to revisit your favorite Branson shows for a whole new experience! Although the majority of the shows in town do switch over to a Christmas theme around mid-November, some stick to their usual performance year-round. Below, we’ve compiled a list of some of the entertainers who do have a special Christmas show this winter. If you will be visiting us during Ozark Mountain Christmas, we hope our list will help with planning your upcoming Branson getaway! Clay Cooper – Throughout all of November and December, Clay Cooper and his talented cast present their Christmas show. They bring the year to a close with a special New Year’s Eve show with the Haygoods that you won’t want to miss! Presley’s Country Jubilee – Join three generations the talented Presley family and a fantastic supporting cast for their Christmas show until the theatre closes for the season in mid-December! Duttons – The Dutton Family’s Christmas show features a mix of some of the most popular songs from their regular season show and timeless Christmas classics. The show only runs until Dec 9th and many dates sell out early, so book your Duttons Christmas show tickets ASAP! The Bretts – Start your morning with the Bretts Family Christmas Show! You’ll see why they were voted Best Christmas Show by BransonBloggers.com! Hughes Brothers – The Hughes Brothers Christmas Show has been named bransonshowawards.com’s Christmas show of the year for the past seven years in a row! The show includes the fantastic harmonies of the Hughes brothers, lots of laughs, and a visit from Santa himself! Legends In Concert – Did you know that the celebrity tribute artists at Legends did a Christmas show? Hear Christmas songs from artists like Elvis, Kenny Chesney, and the Blues Brothers, and don’t miss the legendary midnight celebration at the Legends New Year’s Eve show! Doug Gabriel – Award winning Branson performer Doug Gabriel invites you to remember the reason for the season at his family’s Christmas show. 70s Music Celebration Starring Barry Williams – Here’s the story… of a lovely Christmas matinee show in Branson! Enjoy fantastic Christmas songs and stick around to meet Barry himself after the show. Christmas Wonderland – This high kicking show at the King’s Castle Theatre is filled with dazzling production numbers and favorite Christmas songs. SIX – A truly harmonious Christmas show as not an instrument is to be heard during SIX’s Christmas show celebration. Although the crisp, cool days of fall are just beginning, many of the most popular Branson Christmas shows will already begin to sell out soon! And don’t forget that in addition to all of the incredible Christmas shows, there will also be some amazing Christmas events in Branson happening over the next few months that you won’t want to miss. Contact the Branson Travel Planning Association for more info on any of these great Branson Christmas Shows, or to find out about the discount show tickets and group discounts we have available right now!